Thanks for your thoughtful reply. I agree with your comments regarding cars, especially the Miura! Please post pics of the new 29er that you finished recently, I know I would like to see it, along with everyone else. Aesthetically I like simplicity, neatness, space and contrast. The expanding seat mast insert was born from that. 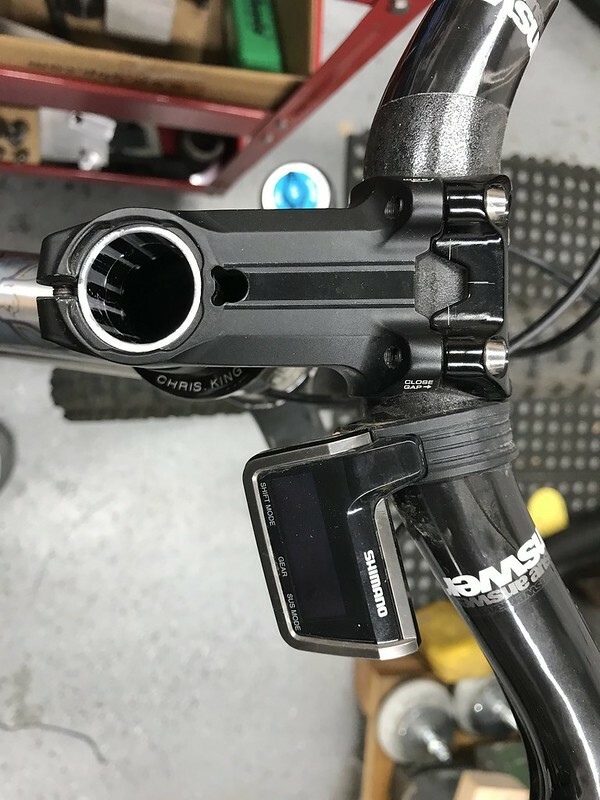 I preferred the ISO disc caliper mounting style (which is fairly easy to tuck between seat and chain stays) but when my favorite disc brake company, Hope, switched to all post mount calipers, I started putting posts on MTBs to eliminate the adapter whenever it was practical to do so. My obsession with hidden cables is born from that aesthetic as well. 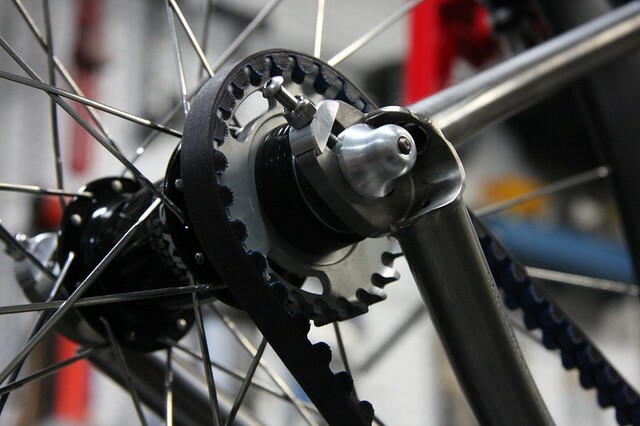 I take it as far as I can on my personal bikes but the cost at the customer level for a full works frame is something most don't go for so I usually work with them to trim it down to something more practical. When I was a kid I lusted for cars that I would likely never see on the road in my lifetime. Lamborghini hit me especially hard. The graceful curves of the Miura always stuck with me as did the Ferrari Testarossa from the late 50's. I carved a pine box derby car to look like the Testarossa when I was in cub scouts (that was a lesson in what could be accomplished with a pocket knife and I have a scar to show for it). The shape of the seat and chain stays on my road and cross bikes are an attempt to emulate those curves. I was also a huge fan of the Countach and LM002 though I think any styling cues that could come of those two would look hideous on a bike. I finished it last month. It was the 29er with the swoopy seat stays, PF30 and internal everything routing. It sounds cheesy when I hear the words in my head but that bike is my dream bike. I executed everything that I wanted to accomplish which presented me with a bunch of "problems" to solve and setups to consider. The blueprint for this bike was conceived in my head years before I learned to cut and weld metal and for me, this is "IT". I'm pulling this out of the ashes to share a very small project. I needed some tensioners for a bike I'm taking to NAHBS and couldn't find anything that worked with Paragon horizontal drops AND looked good. These were born. I'm going to do a batch of them once I recover from NAHBS. 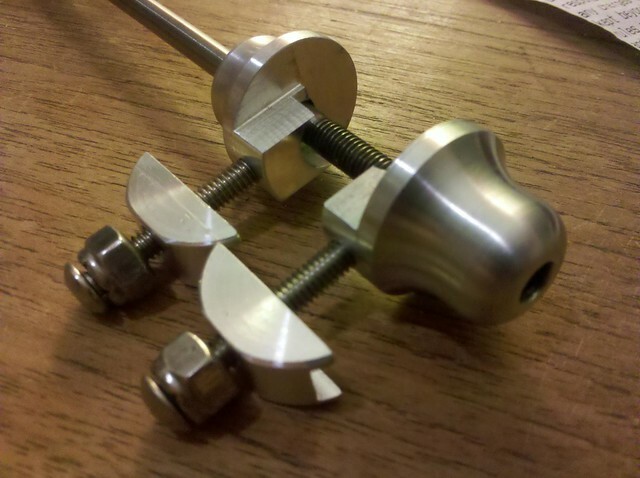 They'll be available with ti or chromoly skewers and in black or silver anodization. Anyone who wants fancy colors should contact me with a request. If I get enough requests for specific colors, I'll do them. There's a Vertigo up for sale in the classifieds. Go get it. I'm only taking two more orders before I close the books until 2013. Also, check out Privateer Magazine Issue #3. I was very fortunate to be interviewed for a piece. 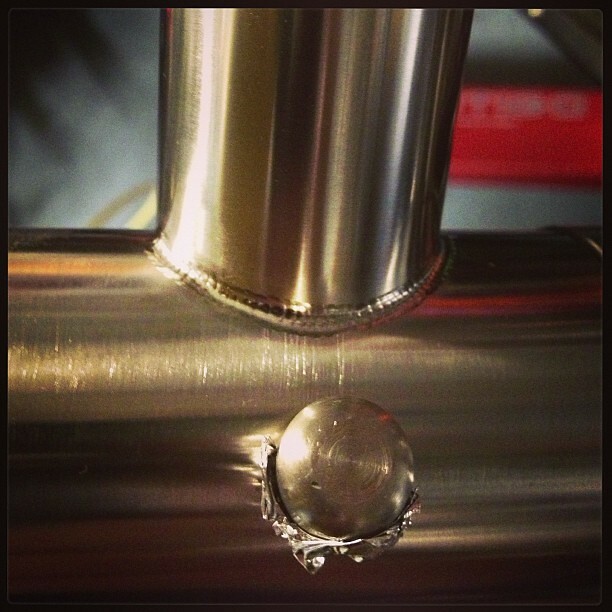 will those hold a QR in a horizontal dropout with a big boy standing on them? Coolio! - Garro. Those are absolutely beautiful. Clean, clean, clean! They haven't been put through the paces yet as I haven't had the time to devote to getting them produced other than this one pair. The ends are 7075 and there's about 30% more thread depth on the threaded end than on a normal skewer, they're also a bit bigger in diameter. In theory, yes, but I don't know fo sho. I haven't posted in this thread for way too long. More than two years...ouch! Firstly, let me say that it's my goal to avoid any post-weld surface finish work other than decal application and "headbadge anodization". This is almost entirely for my own amusement but also because it's quite time consuming to attempt to get all the Scotch Brite scratch marks oriented around the circumference of joined tubes. 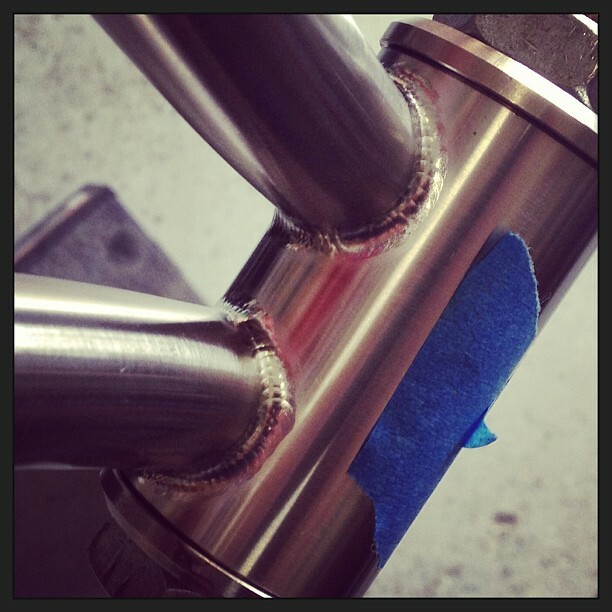 I'd rather drive myself nuts attempting to weld a perfectly clean frame than drive myself nuts attempting to deal with scotch brite strips on a completed frame. It's also a point of pride for me. I go to great lengths to do as much work as necessary on the front end of a process to ensure a smooth process and time savings on the back end. 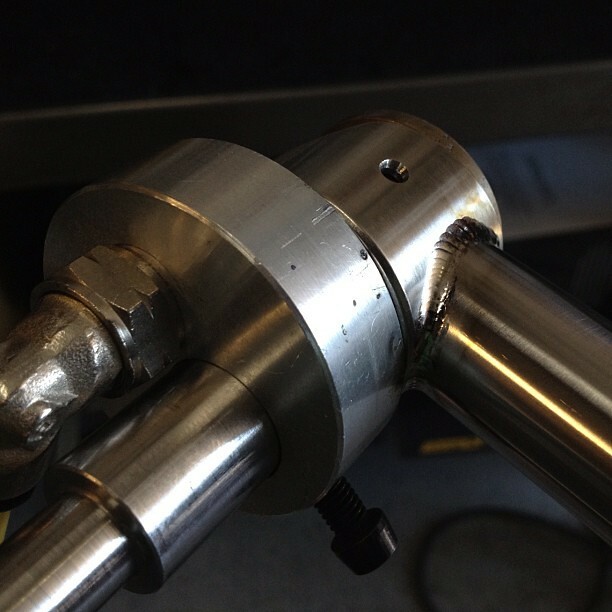 All tubes are rough cut to length. The chainstays get washed with Dawn in the sink and then dried on a heater. 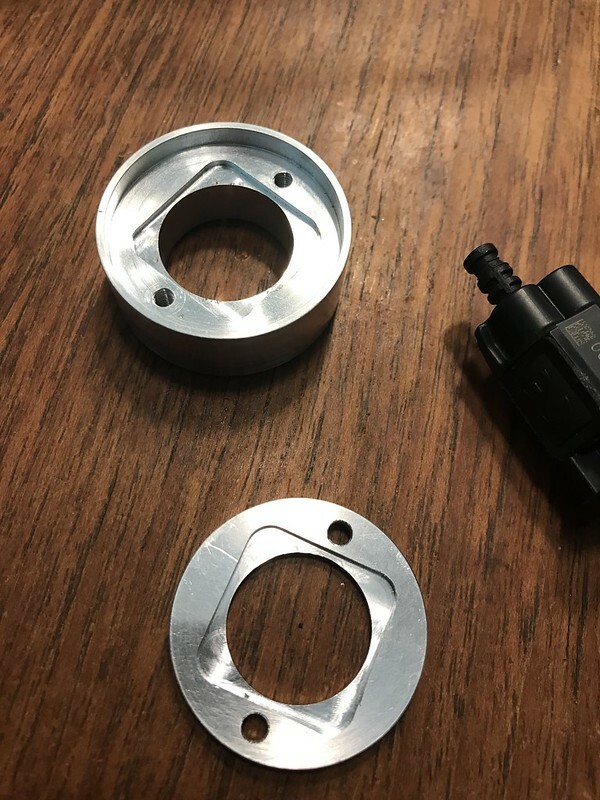 With that sub assembly done, the seat stays get polished and cleaned in a similar fashion and then both ends are mitered and welded onto the existing assembly. The seat stay bridge is then dealt with in a similar fashion...can you see where this is going? 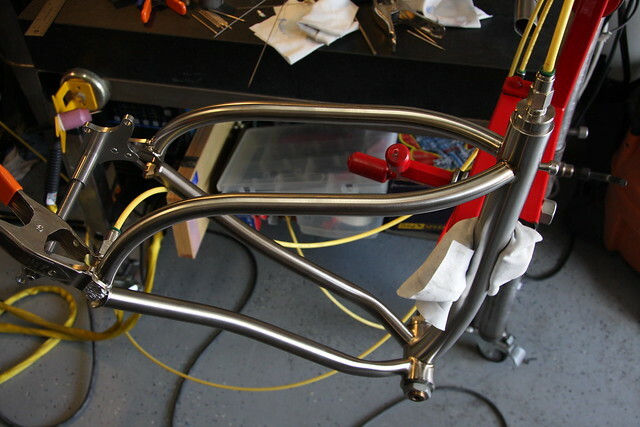 Once the back end is done, I build out the front end, which is so ridiculously fast that it's like finishing up a mountain bike ride with a ten mile swoopy, burmed downhill. many steps were skipped, purging, alignment checks, bath chemistry, vent strategery, torch modifications and self made tools were all involved. That's about as much time as a sick kid affords...more later. I'll try to keep the post interval a bit shorter this time. Awesome post! I really like that analogy too. I just built my first one from the back forward and noticed the same thing! Thanks for sharing Sean. Good to see the Vertigo thread revived. Curious for an update on torch modifications and "Theories on Vent Strategery". woah, three and a half years. Most of what I do is similar to the one before it, so I've been loath to flood the internet with photos of work in progress. I built a little gizmo in the late hours over the past few days that will be offered as an option for new XTR Di2 bikes next year. 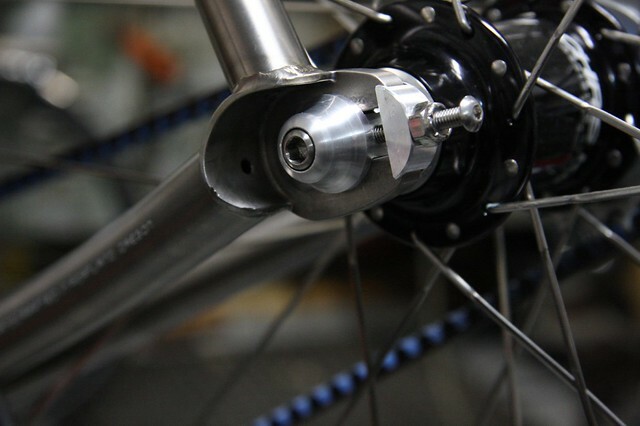 It's a display unit delete that integrates into the bottom of the steerer. I've been wanting to get rid of it since I unboxed it several years ago...didn't everyone pull the gear indicators off their shifters? 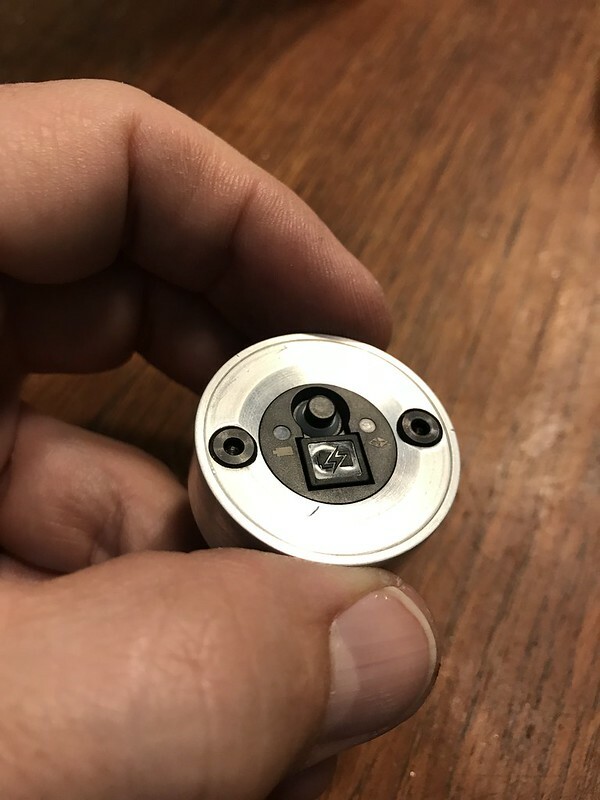 At least for this prototype, a Pro Tharsis stem was used because the wire ports are already built into it and it has a nice headset compression adjustment system built into it. 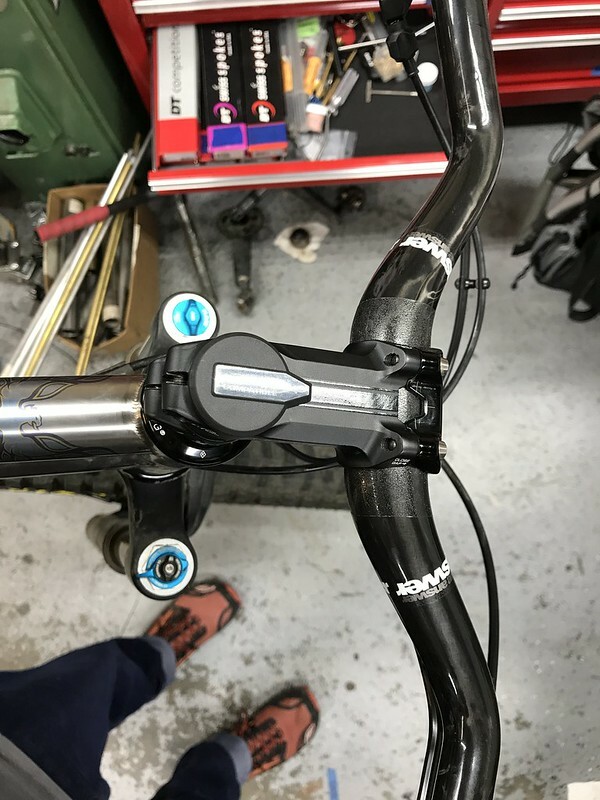 It's been installed on the bike for a few years and it's actually plenty light while managing to do an admirable job of connecting the handlebar to the steerer. 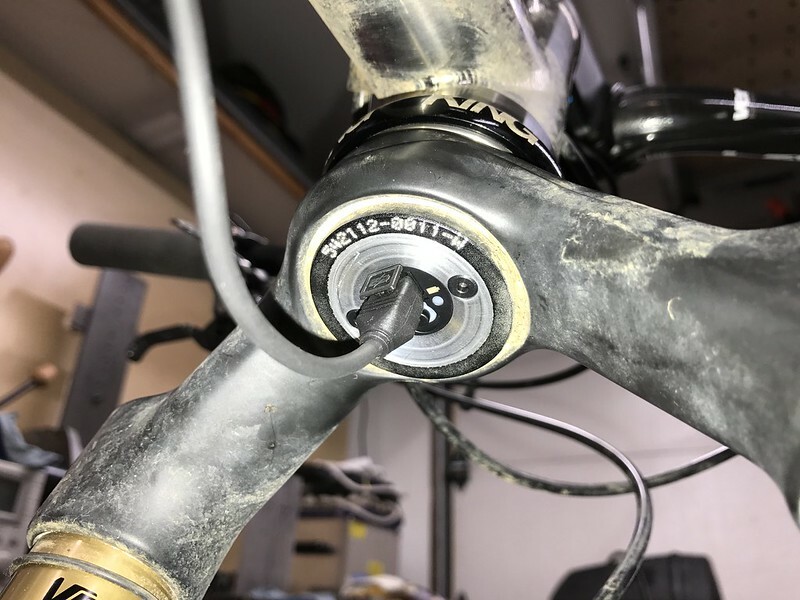 The XTR head unit was replaced with a Dura Ace RS910 and my little slug encapsulates it and presses into the bottom of the steerer.